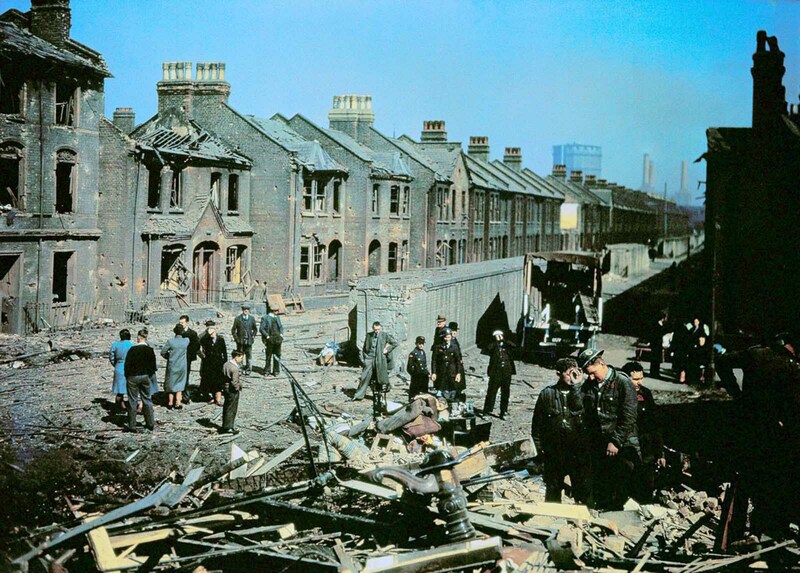 Bomb damage to a London street, Dec. 16, 1943. 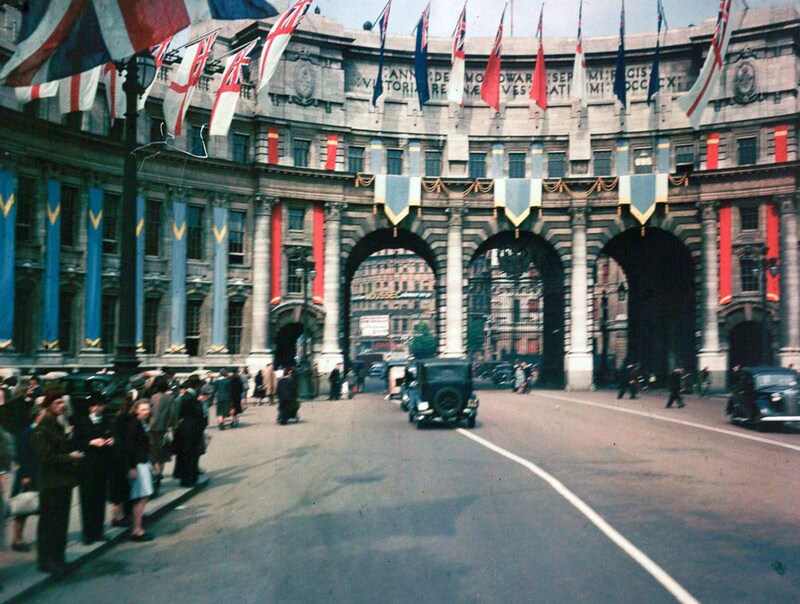 This collection of rare photographs of London, spanning from the dark days of the Blitz to the triumphant celebrations of VE Day, were taken in Dufaycolor, a little-known photography process. 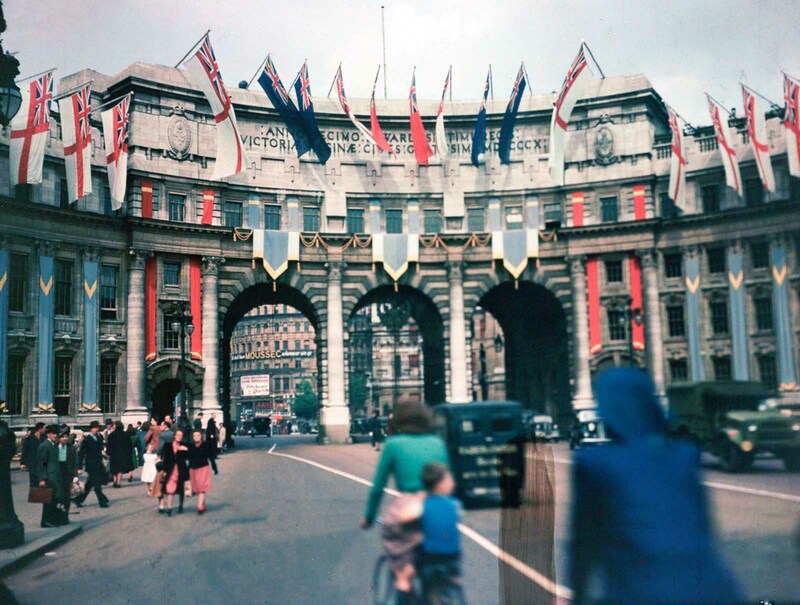 They give another perspective on the period between 1943 and 1945 when Nazi Germany carried out a sustained aerial bombing campaign against Britain. 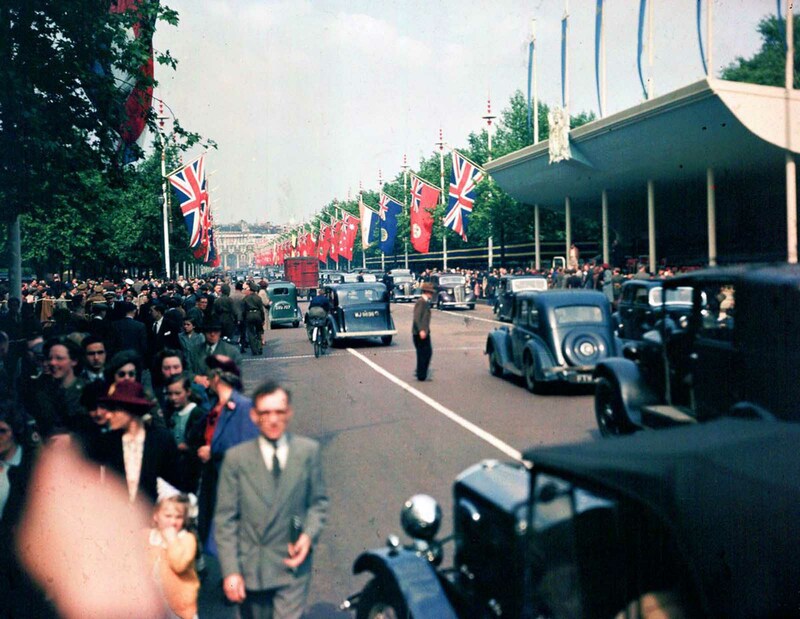 Introduced as cinematic film in 1932 and roll film in 1935, Dufaycolor is an early French and British additive color photographic film process for motion pictures and stills photography. 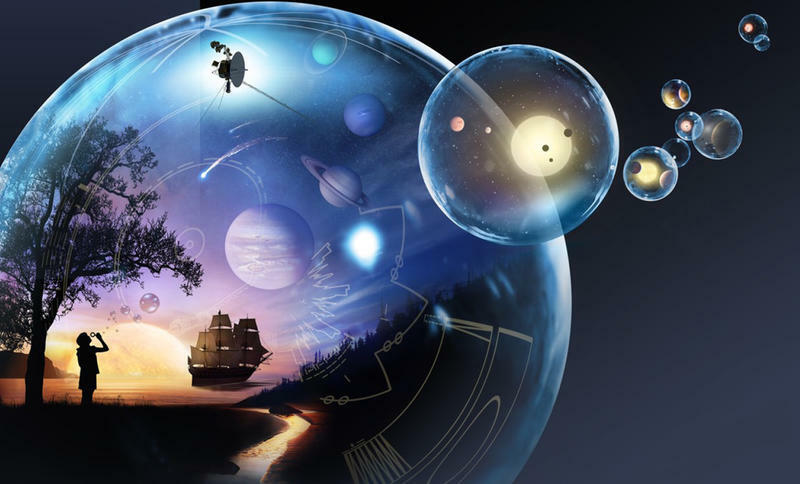 It was based on a four-color screen photographic process invented in 1908 by Frenchman Louis Dufay. 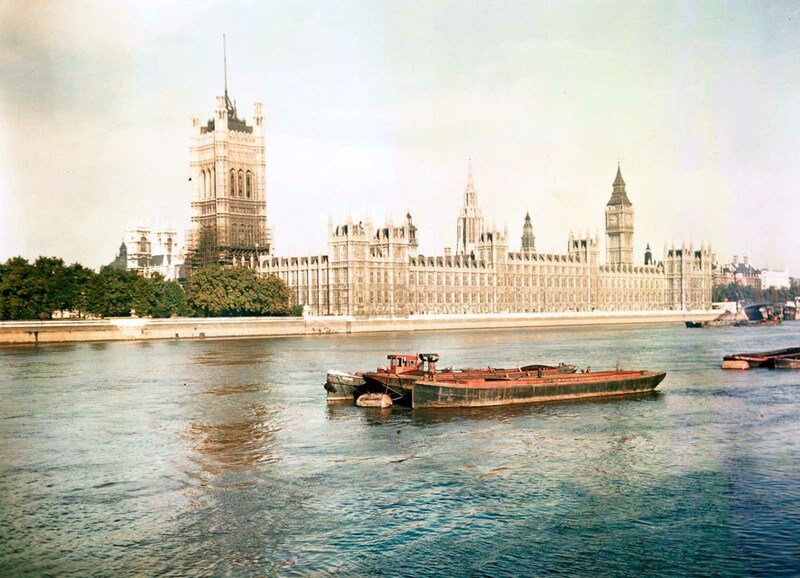 Dufaycolor worked on the same principles as the Autochrome process, but achieved its result using a slightly different method. The film base was dyed blue, printed with a mosaic using a resistive greasy ink and bleached. The resulting spaces were then dyed green. The process was repeated at an angle, the new spaces being bleached and dyed red, forming a mosaic of color filters consisting of a mesh of red, green and blue lines, at approximately one million color elements per square inch, known as a reseau. When exposed to light through the reseau, the film’s emulsion was exposed to a single color of light. Thus the emulsion behind each color element recorded the tones for each primary color. Upon projection, the reseau served to filter the white projected light, so that the colors of the photograph corresponded to those in the recorded scene; for example, red values were only shown in red. The same principle applied to green and blue components. 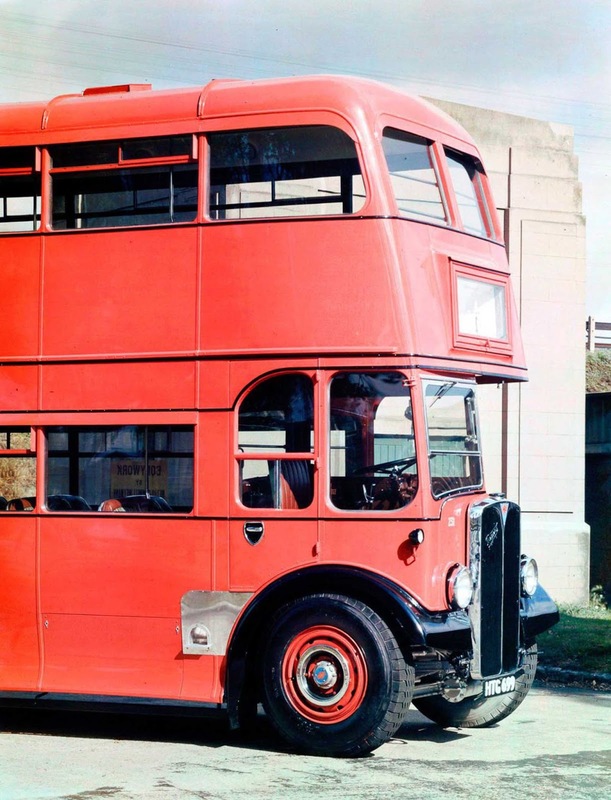 Though it was popular among professional and amateur photographers until the 1950s, Dufaycolor was ultimately surpassed by Kodachrome and other superior color processes. 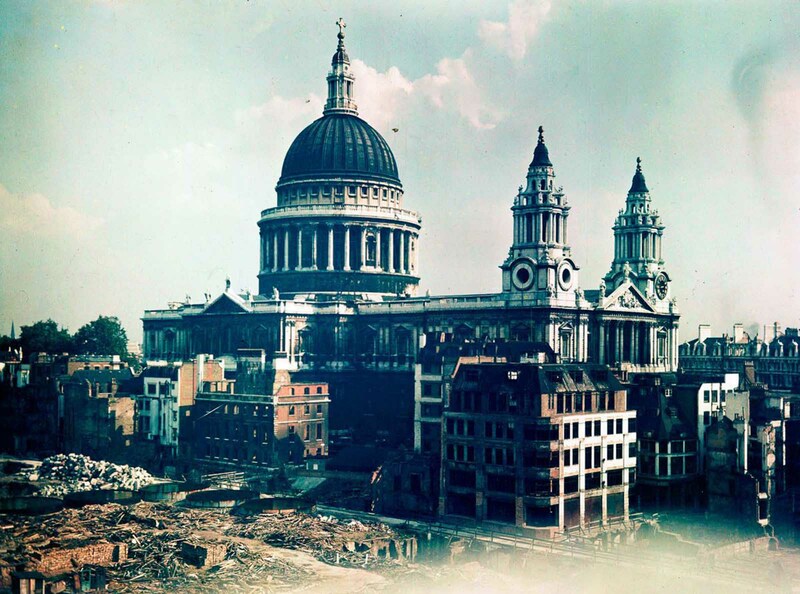 St. Paul’s cathedral stands intact amid buildings destroyed by bombing. Dec. 10, 1943. 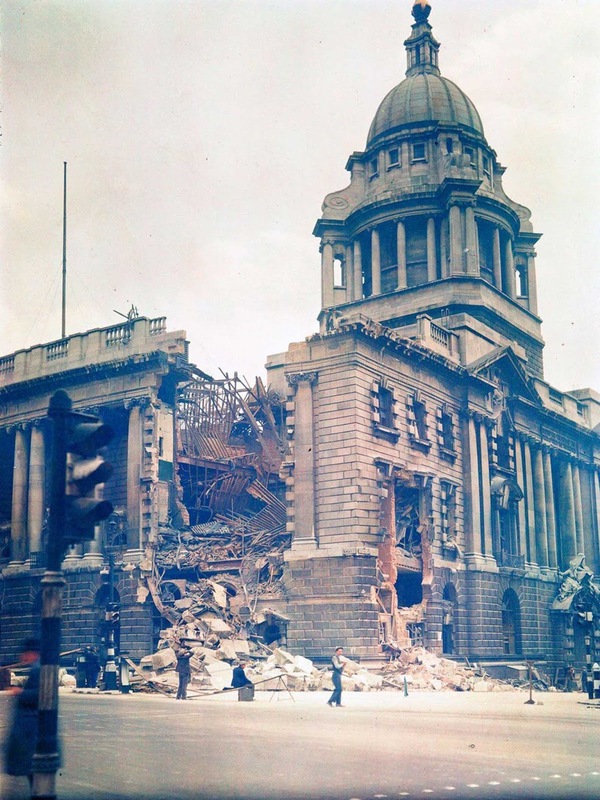 The Old Bailey law courts, damaged by German bombing. Dec. 10, 1941. 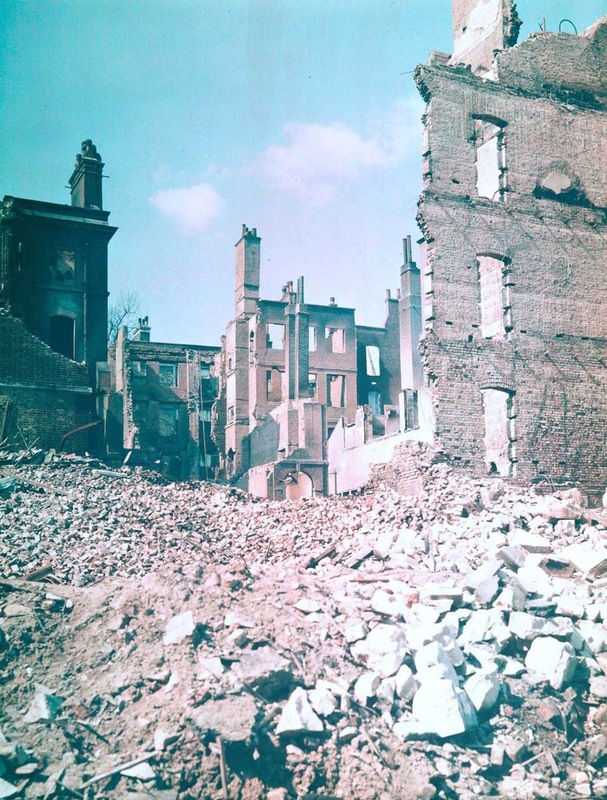 Houses destroyed by German bombing. 1943. 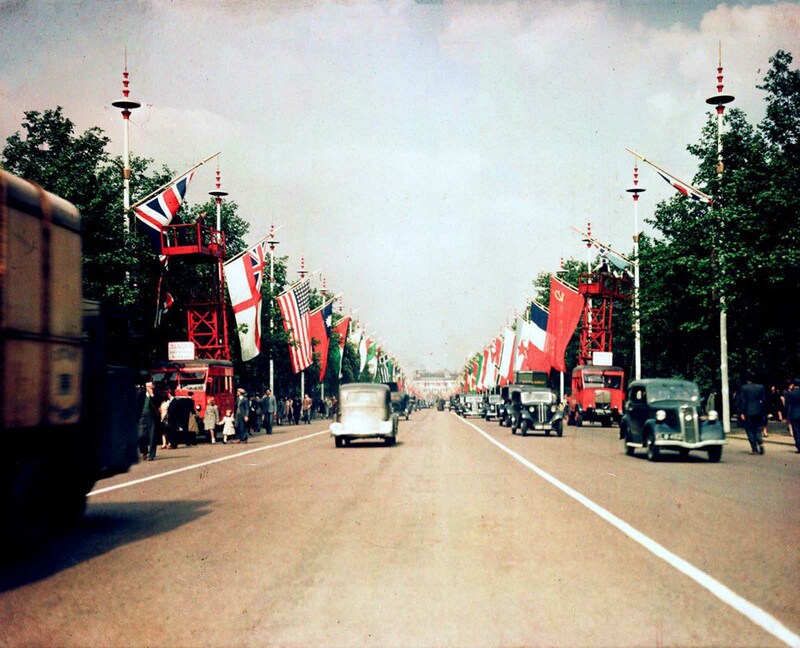 Allied flags are displayed in celebration of victory in Europe. Sept. 3, 1945. 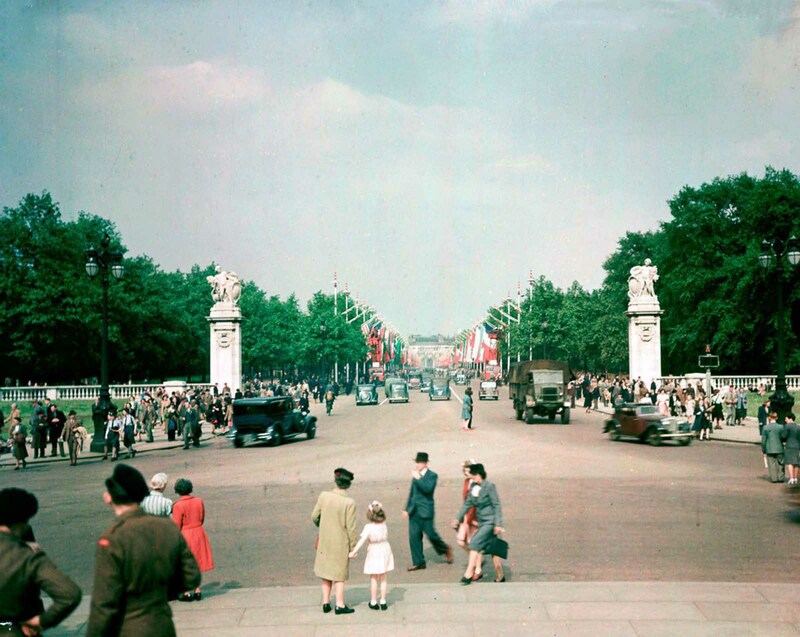 Crowds on The Mall, London, 1945. 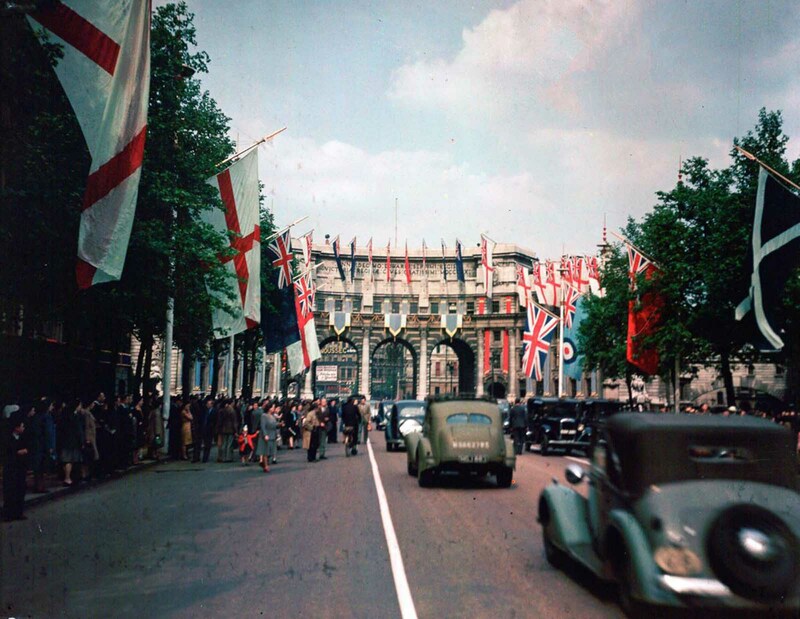 The Admiralty Arch is decorated with Allied flags in celebration of VE Day. Sept. 3, 1945. 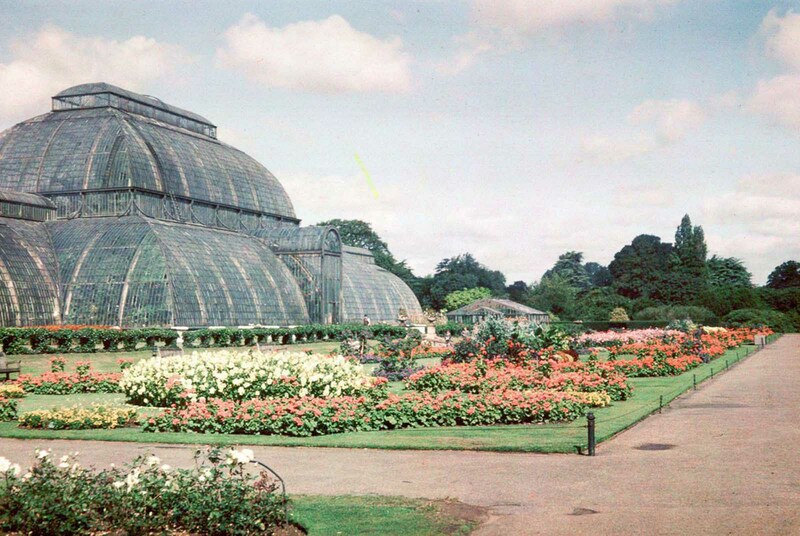 The Palm House in Kew Gardens. Sept. 3, 1945. 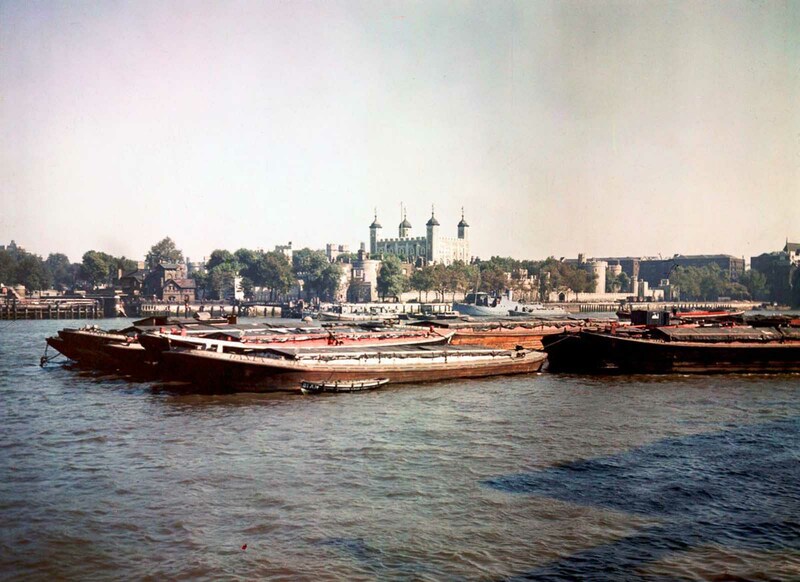 Barges on the River Thames in front of the Houses of Parliament. Dec. 10, 1945. 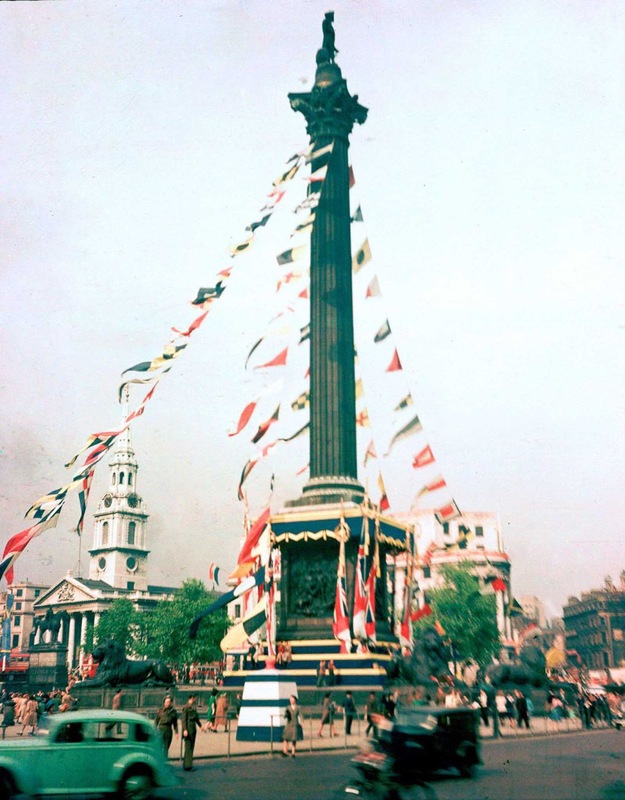 Nelson’s Column festooned with flags to celebrate VE Day. Sept. 3, 1945.